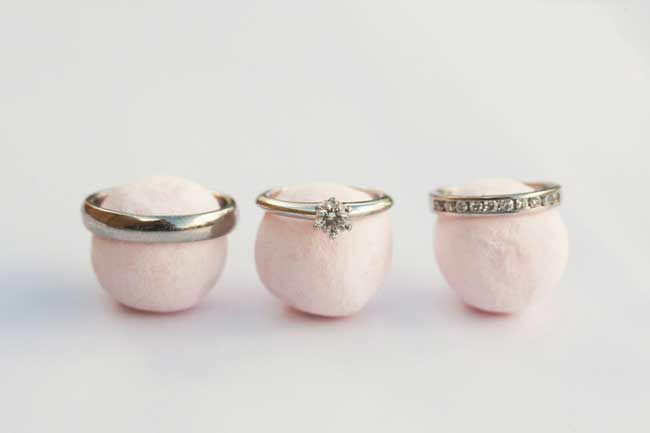 Your wedding rings will be one of the most important purchases that you make for the big day – if not the most important! Remember you’ll hopefully be wearing these rings for the rest of your lives together. These rings are a symbol of your love and careful consideration should be taken when choosing them. 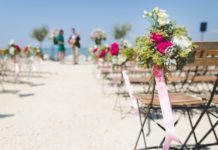 Wedding Ideas spoke to Vashi Dominguez, founder of Vashi.com to get his expert advice on choosing the perfect rings to suit your style and budget. 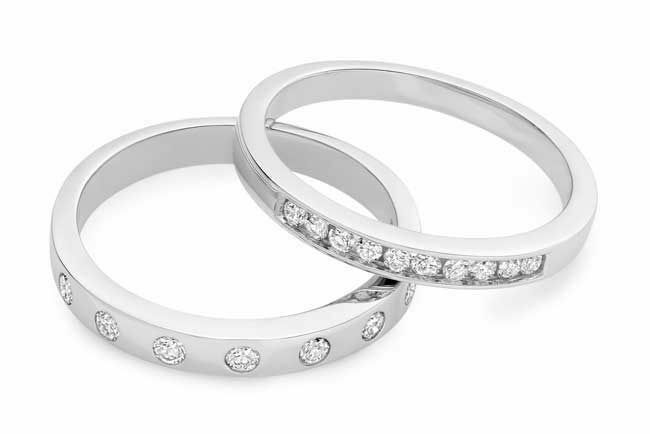 Do you and your partner want to opt for matching wedding bands? Will the bride be wearing the ring alongside her engagement ring? If the answer is yes then you may want to consider choosing a curved wedding ring to sit comfortably around and complement the engagement ring. Curved rings are widely available and you may even wish to consider having a bespoke ring made to fit your engagement ring perfectly – this can cost less than you think. Comfort is key when it comes to choosing your ring. If you and your partner have an active lifestyle or there is a manual element to your work, you may want to opt for wedding bands that are robust, secure and don’t scratch easily. A diamond wedding ring with whopping great stones looks fantastic, but you may find it uncomfortable in the long run especially if you type a lot. It may also scratch or get caught in clothing more easily. If you will have to remove your rings on a regular basis, you may wish to opt for a plain band which can be easily replaced if the worst happens and a ring is lost. If you decide on a diamond wedding band you need to decide on the setting. 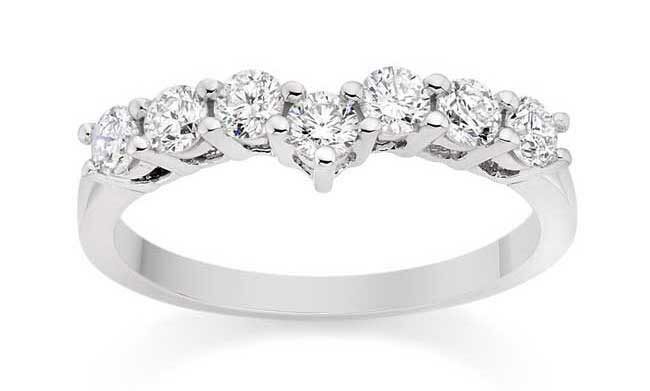 A channel or bezel setting is more secure for the diamonds and is less likely to catch on clothing, but a prong setting will let the light travel through the diamond, giving your ring more sparkle. Many people deliberate over which metal to choose for their rings and often opt for the same metal as the engagement ring. Gold, whether white or yellow, is the most popular and enduring choice. However don’t purchase a ring which is cast in gold purer than 18 carats as gold beyond this is much softer and is less hardwearing. 18 carat gold is made by mixing 75% gold with 25% other metals. White gold is coated in rhodium to create a real white look. Unfortunately, this thin layer of rhodium will eventually wear off. To keep a white gold ring looking its best it should be re-plated every 12 to 18 months. Platinum is the strongest jewellery metal, resistant to damage and won’t tarnish, making it a great choice for a wedding band. It’s also important that you choose a ring that you will be happy with for the rest of your life. An avant garde style ring may be in fashion right now but will it still be a fitting choice in 20 years? 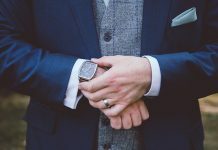 Don’t go for trends when choosing your wedding rings – simply go with what’s elegant, classic and comfortable and something that is going to suit your everyday style. For something truly unique, why not design your own wedding rings? 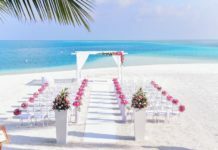 Although a wide range of beautiful pre-set wedding rings is widely available, you could decide to create your own, very personal wedding ring designs. Vashi.com has a team of skilled professionals who specialise in creating made-to-order pieces. The team can create the wedding ring of your dreams from a single image so why not get creative and start sketching? When you buy your diamond engagement ring or diamond wedding ring, it pays to read up on the 4 Cs of diamonds (cut, colour, clarity and carat weight) to ensure that you get the best value for your money. 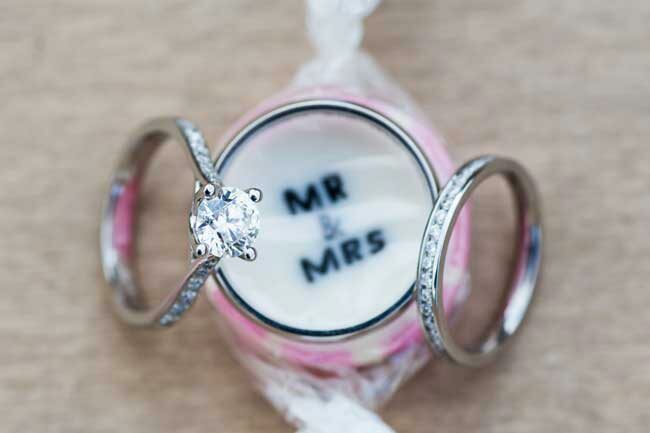 Some couples choose to have their rings engraved to add that extra personal touch to their wedding bands. Vashi.com offer free engraving on all of their plain wedding bands which is great news if you want to add your wedding date or a special message to your designs. We’re talking more about fabulous finishing touches in our Wedding Accessories section right now.